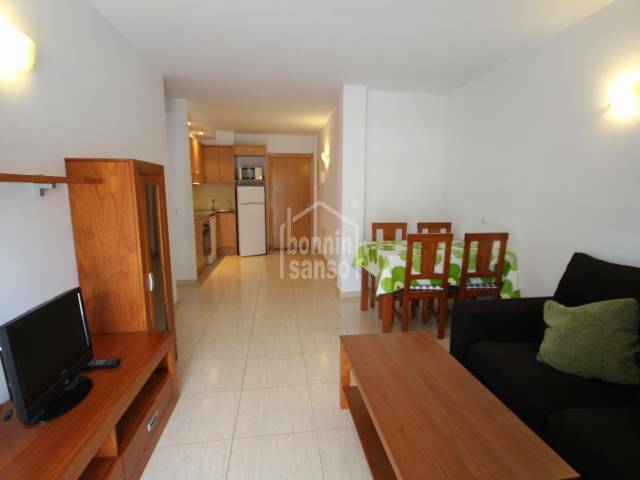 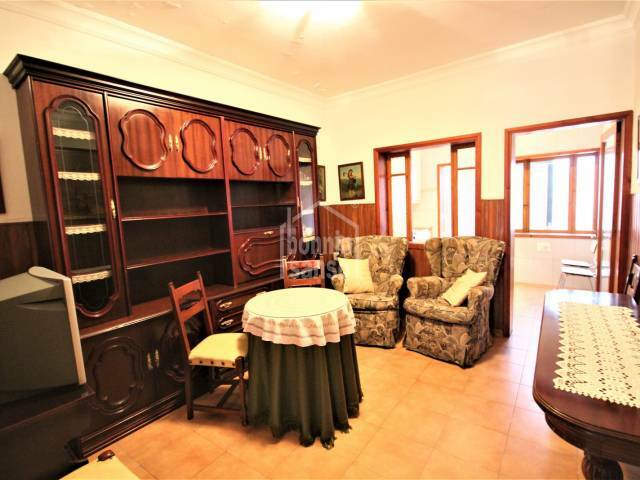 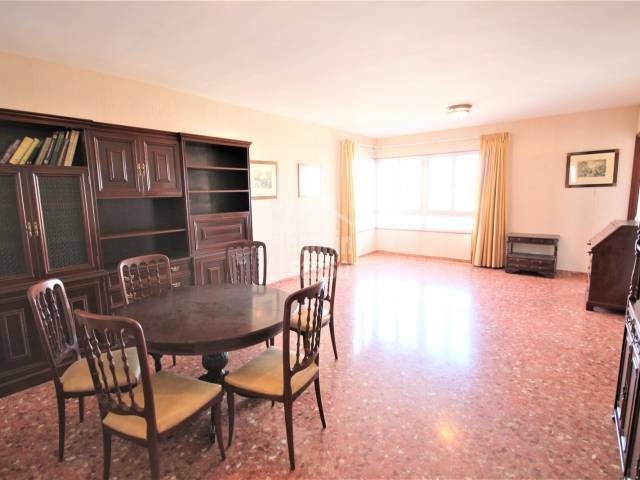 Beautiful apartment about 140m² a few meters from the Plaza de los Pinos. 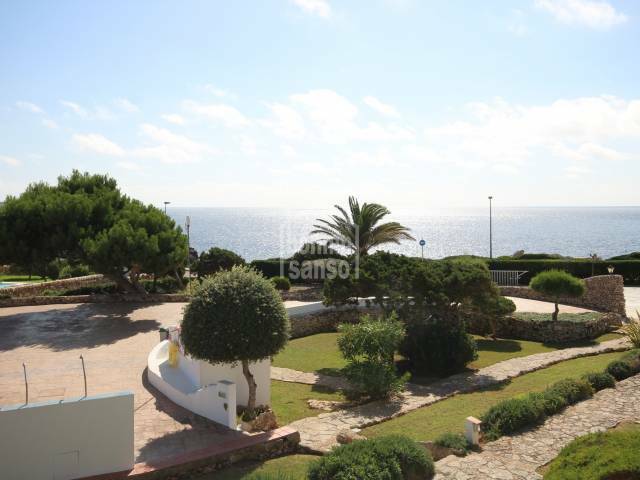 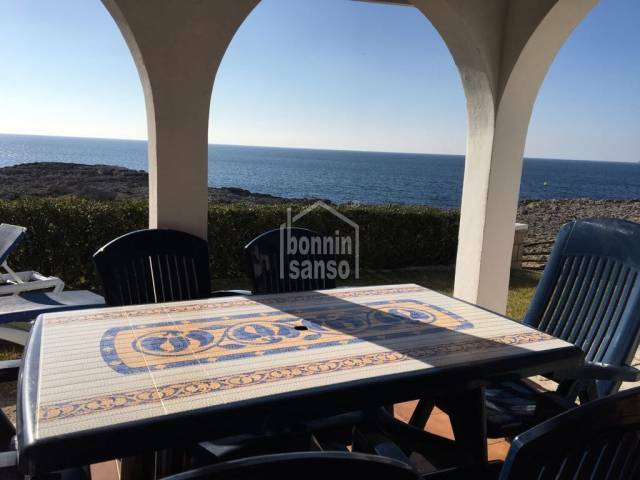 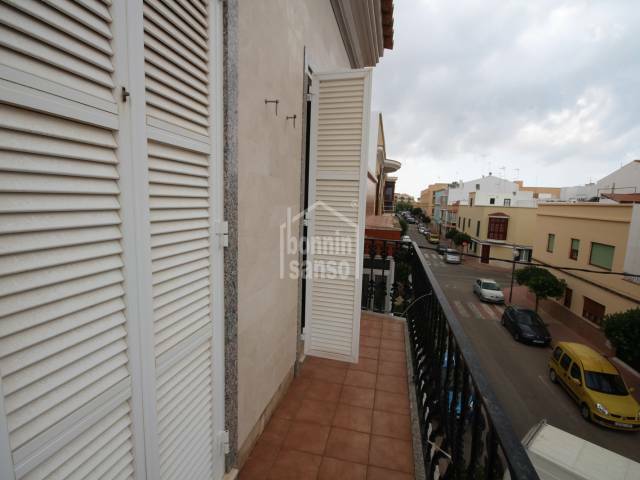 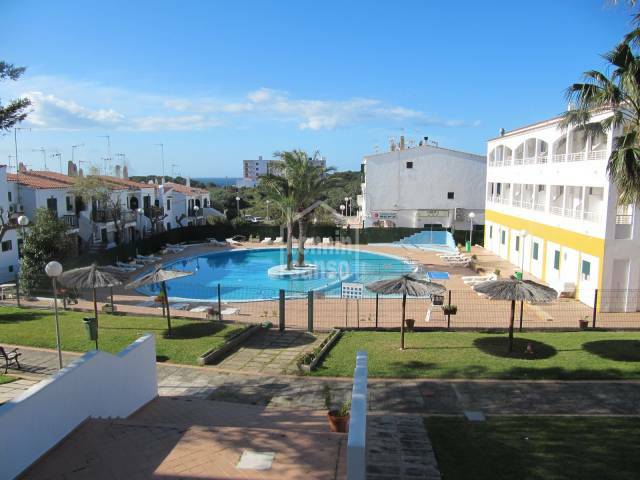 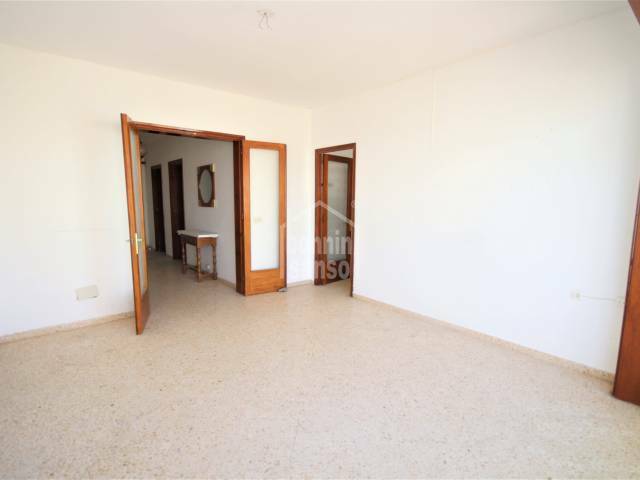 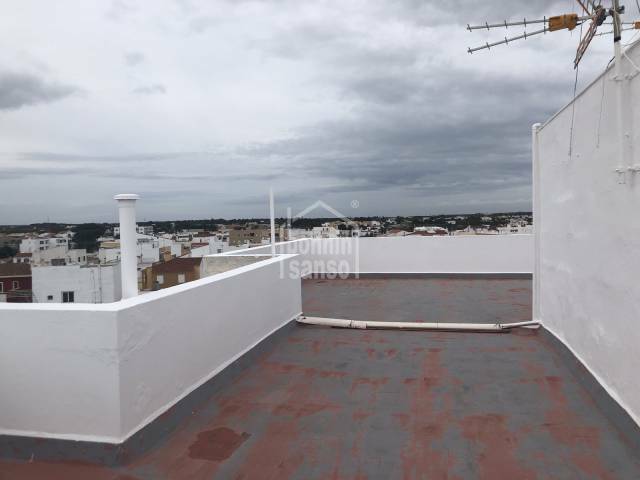 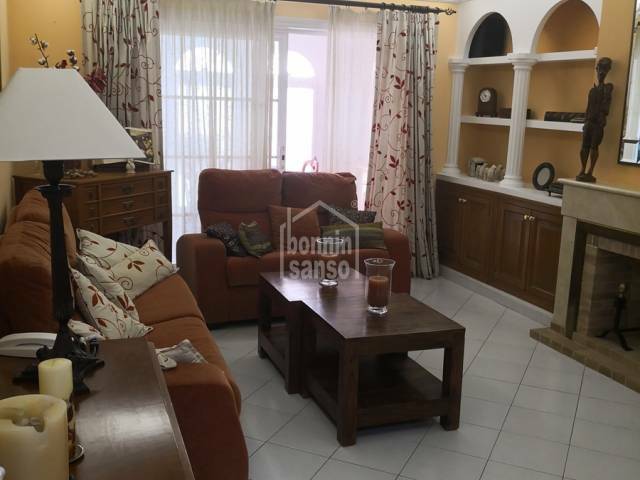 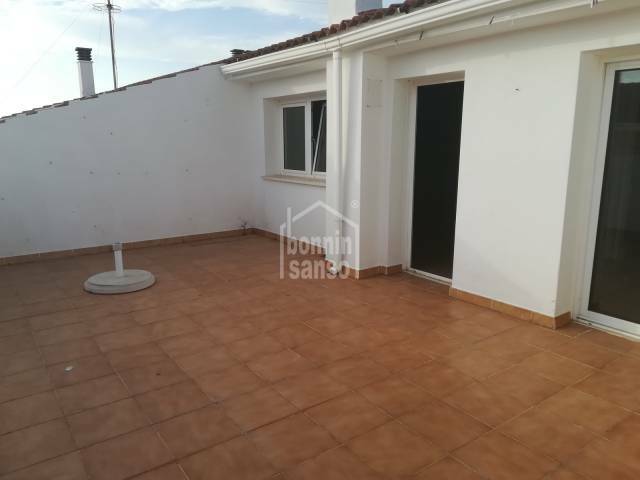 With a total area of ​​approximately 156m², in the area of ​​the Plaza Menorca, is this apartment with elevator, with very good distribution. 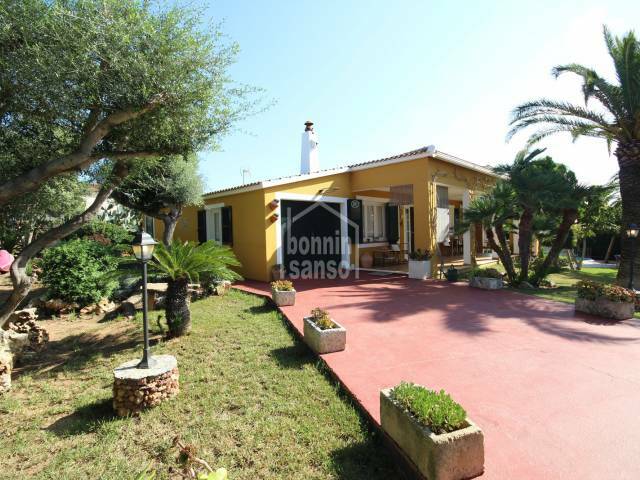 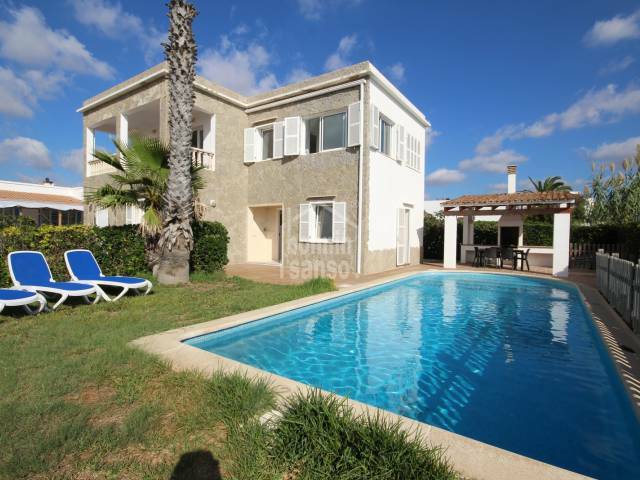 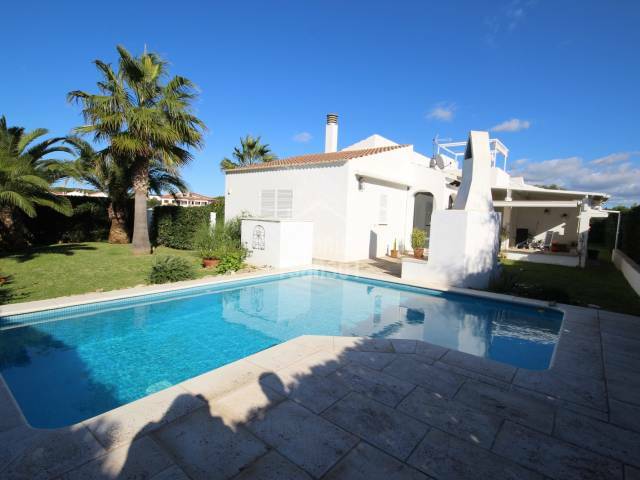 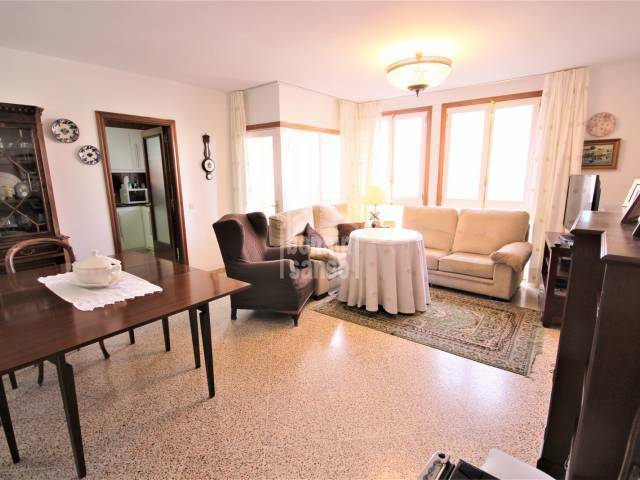 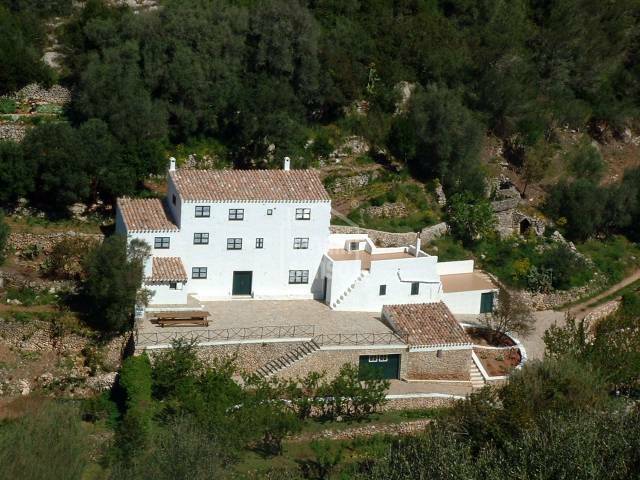 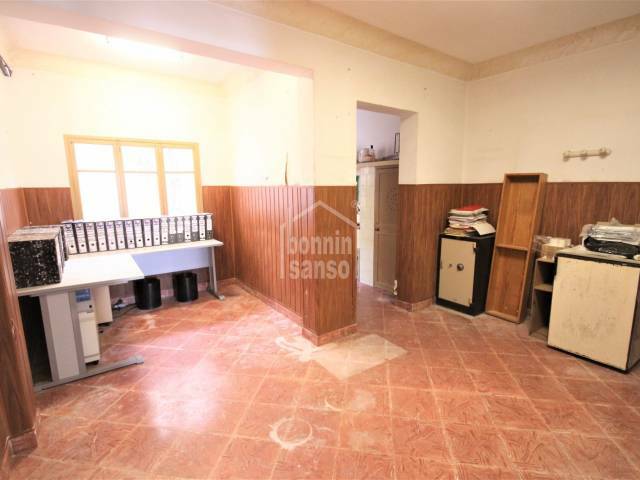 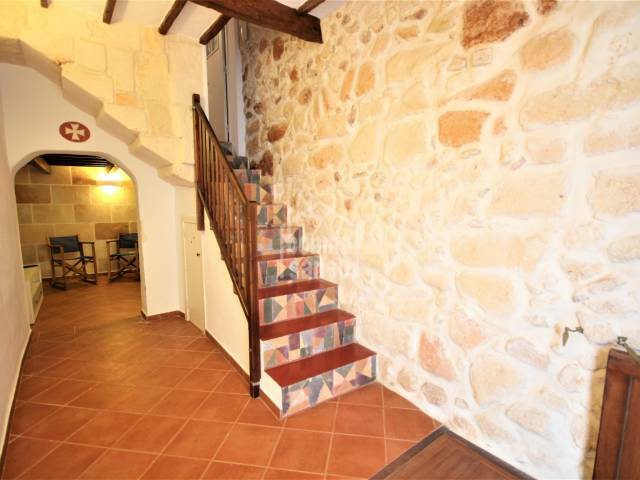 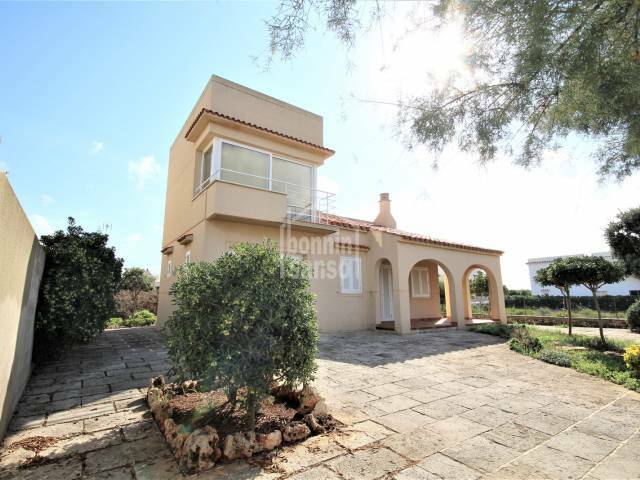 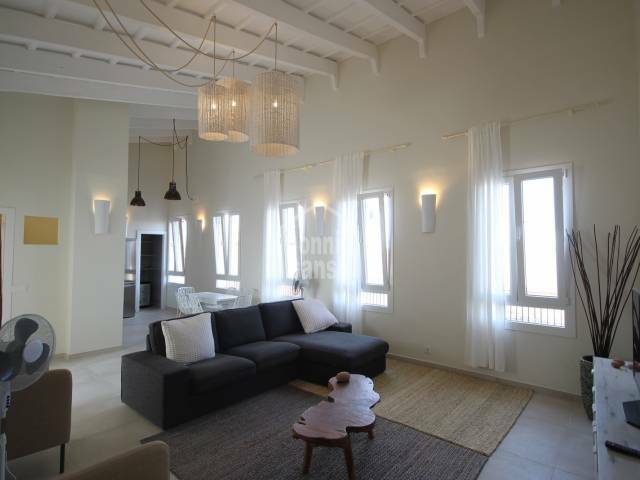 House in fantastic location of the old town, fully renovated and furnished. 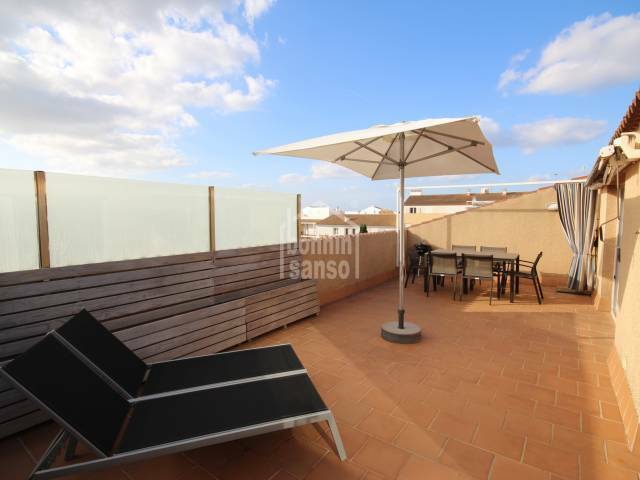 Spectacular duplex, all exterior, of almost 190m², plus two huge terraces, very close to the old town. 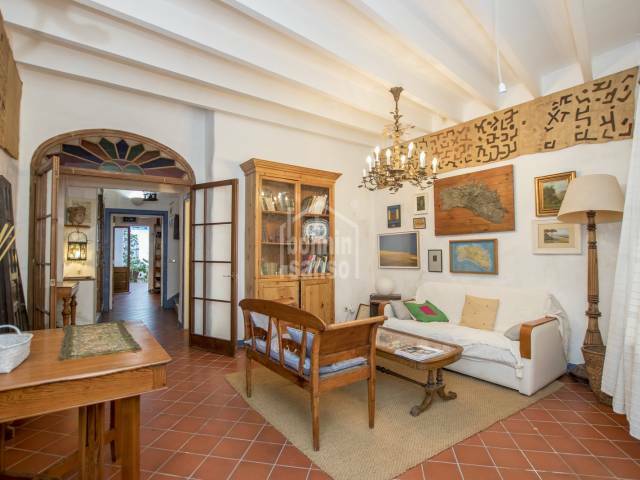 In der romantischen Altstadt von Ciutadella finden wir dieses schöne Haus in einer der schönsten Straßen des Zentrums. 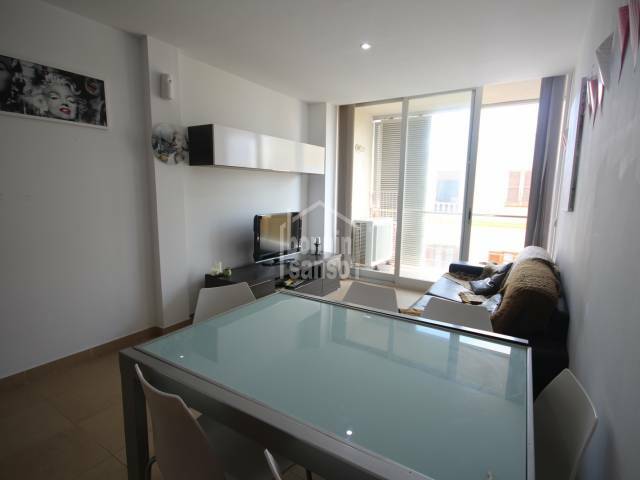 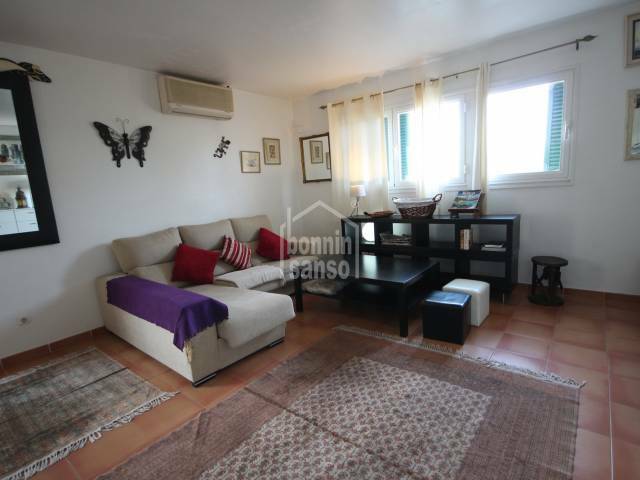 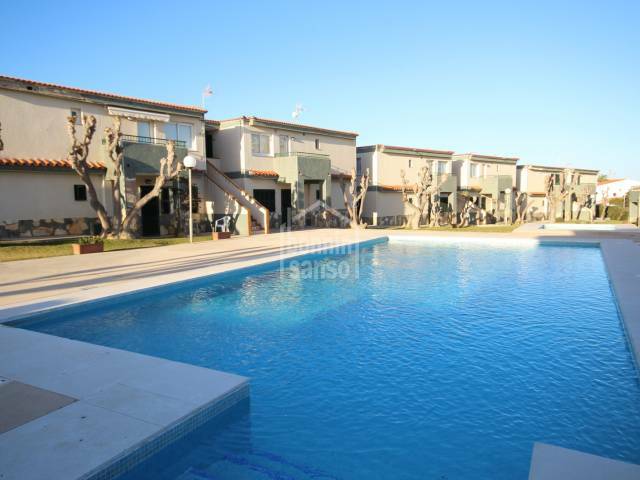 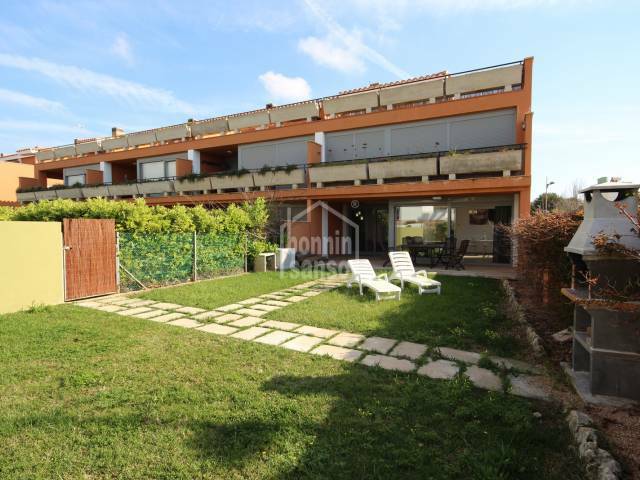 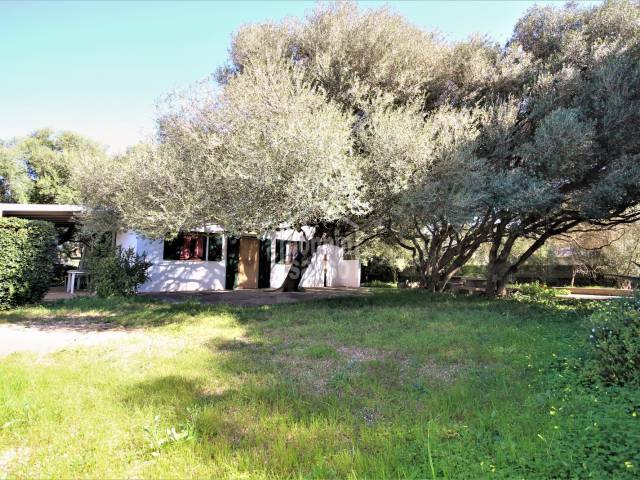 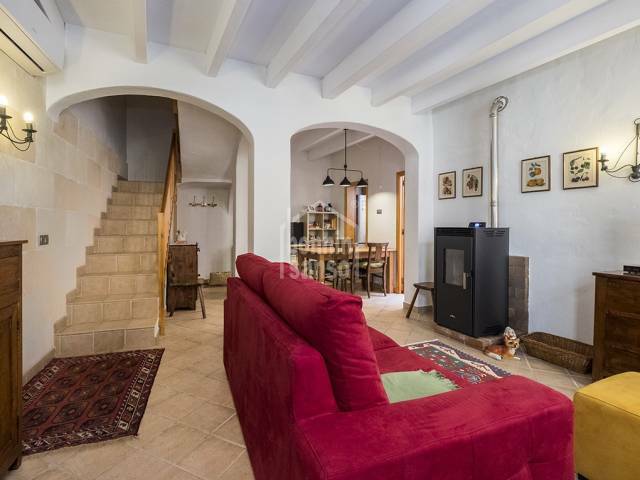 Located in an area of expansion of Ciutadella very pleasant and well connected. 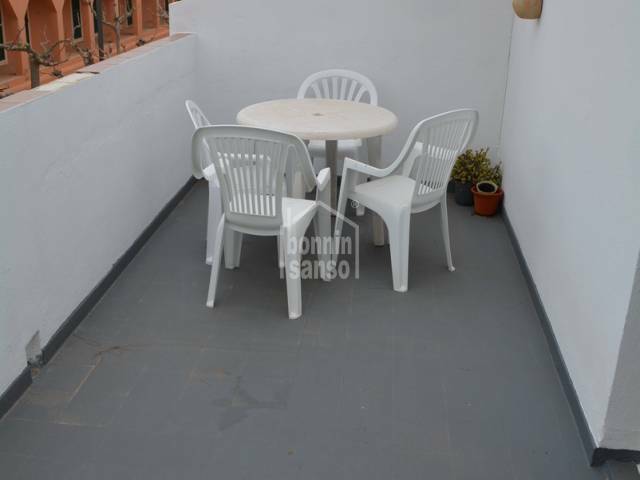 The house is the ground floor of a building with only two neighbors on the first floor. 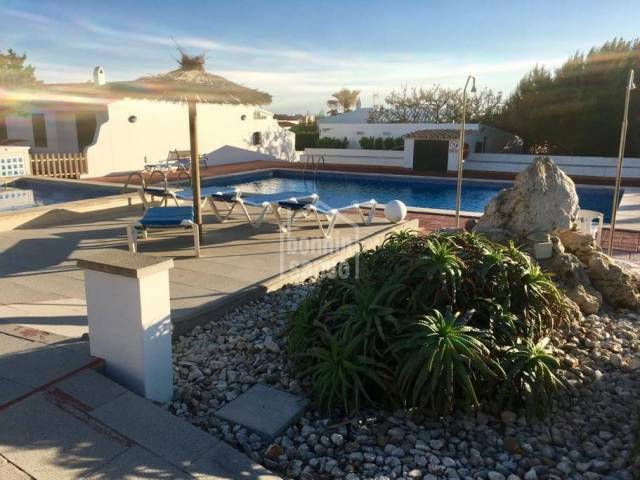 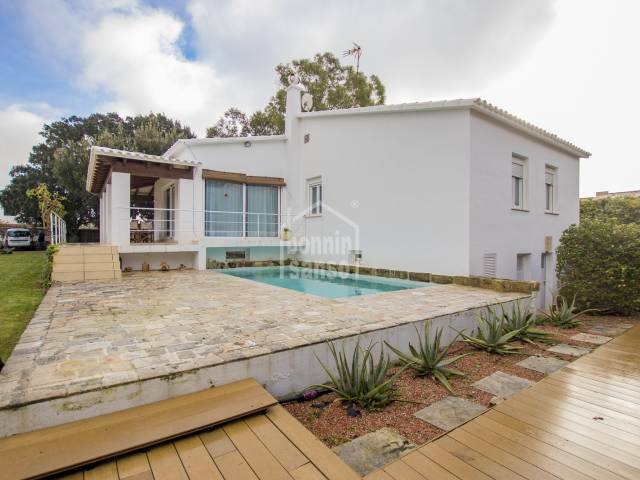 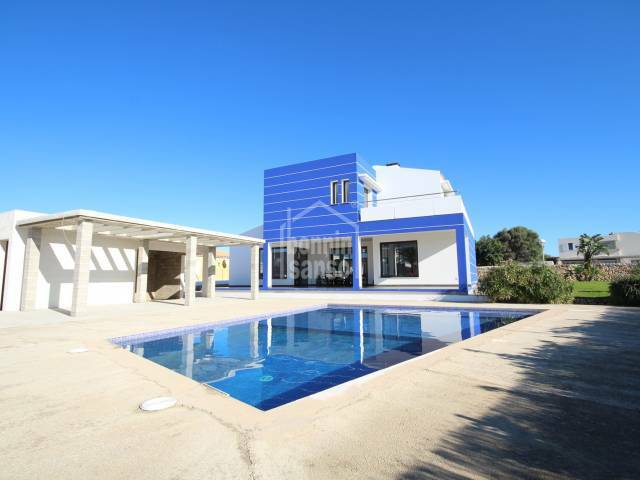 Beautiful villa with a very consolidated garden of about 115m² built on a plot of about 718m² with a practical swimming pool, in a very quiet area of ​​Cales Piques. 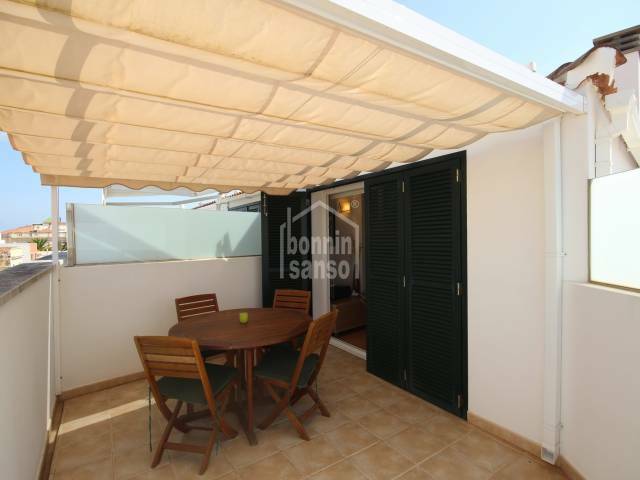 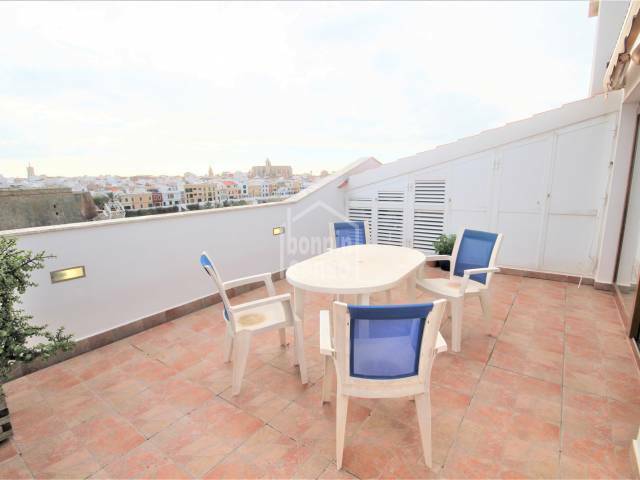 Second floor of about 123m², with very good distribution and large terrace in the most residential area of Ciutadella. 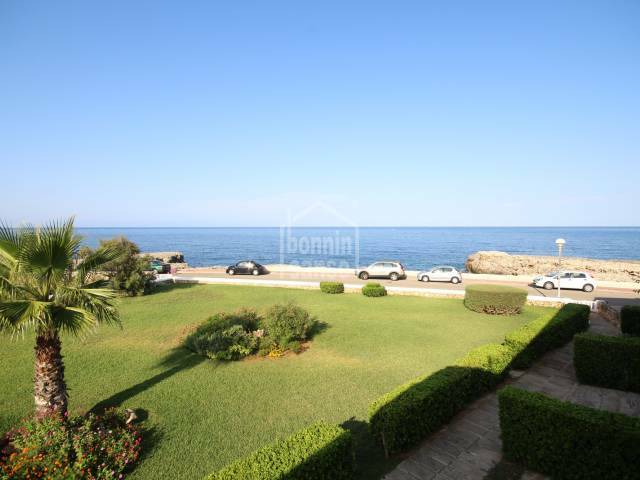 Modern and charming front line duplex with sea views and next to the beach. 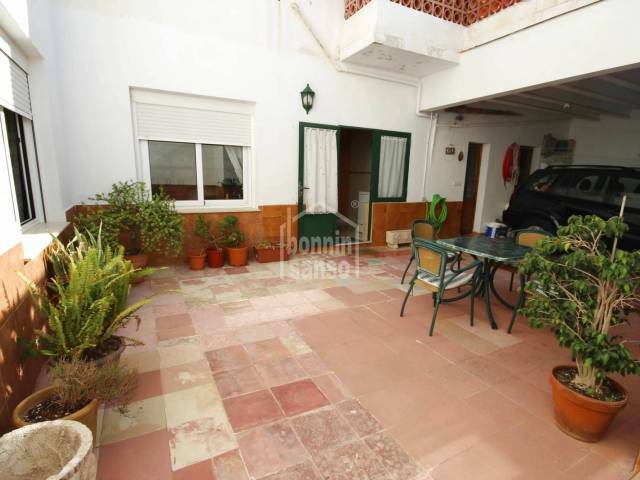 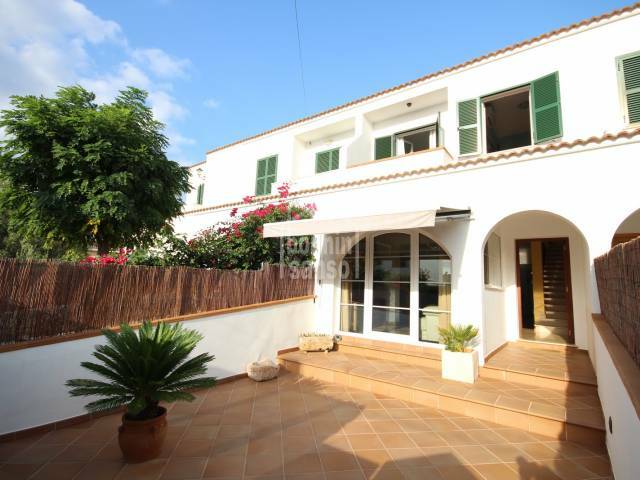 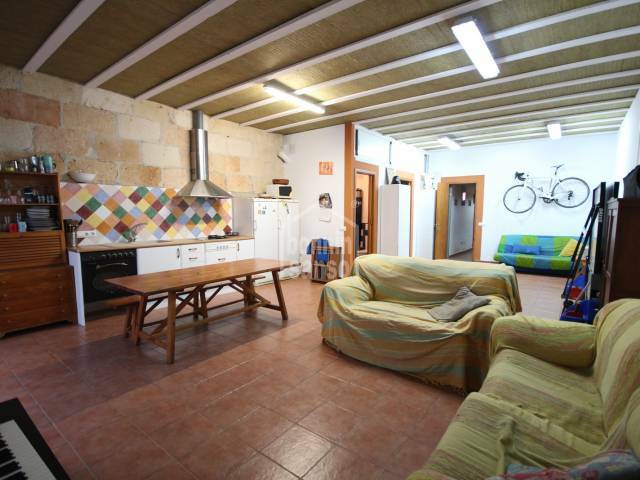 Practically in the historic center of Ciutadella, you will find this house with many possibilities. 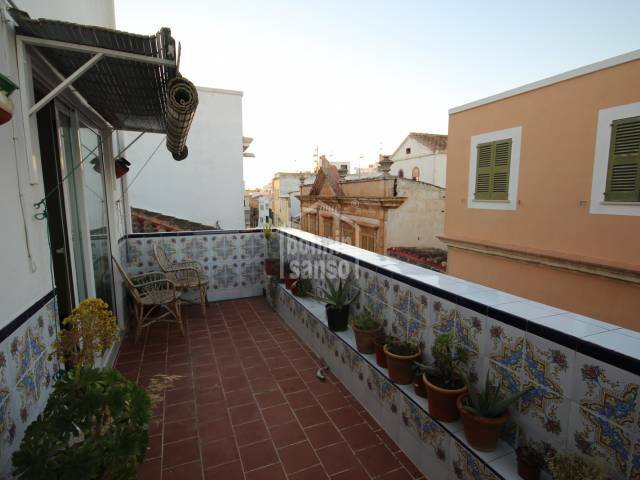 It is a house with ground floor, first floor, second floor and roof terrace. 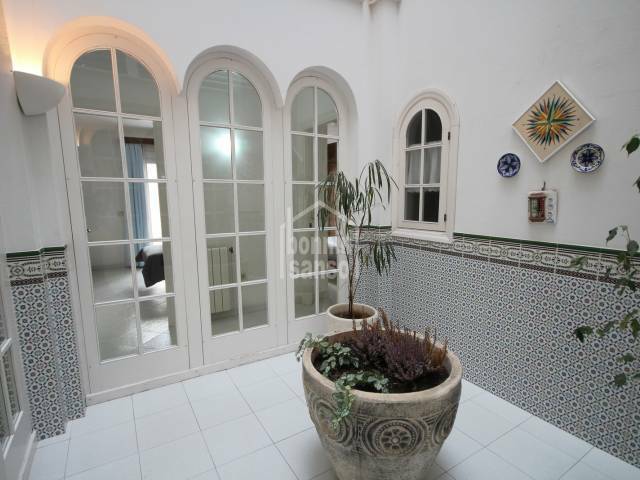 Central house with a total area of about 154m² built plus patio and terraces, to rehabilitate to the taste of the buyer. 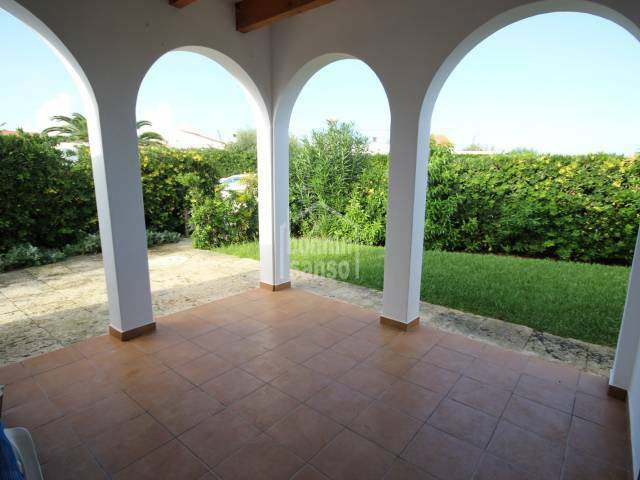 In der exzellenten Wohngegend von Ciutadella , gibt es dieses schöne Villa mit Dach-Terrasse und Keller. 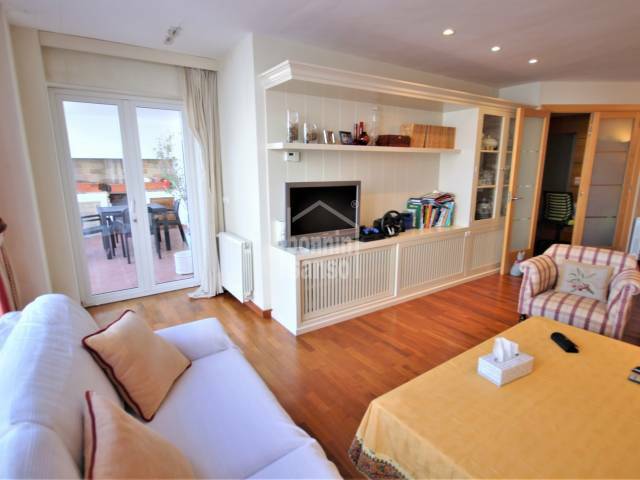 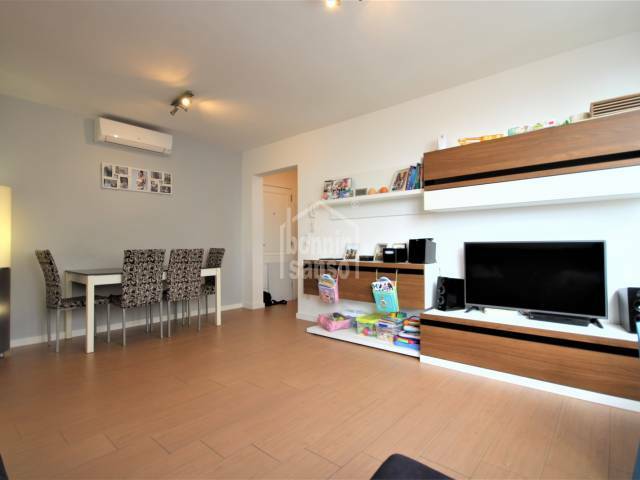 It is a very central first floor, recently built and completely renovated just two years ago with a modern decoration and with great taste.